this book adds to the Academy book one. and has a bunch of background that was ignored in the main series. if you found yourself wondering what happened in book 14 of the Kurtherian gambit then you need to read books one and two of the Alpha Class series. The Alpha Team from the first Book is back! This time, the adults are watching closely and the Earth world powers are taking huge steps towards self destruction (I predict). The story is short and entertaining! The characters are likable and the storyline well done. I look forward to book 3! Not quite up to the level as others. Too much repeating stuff from other books. Still, nice little filler in the KG universe. the kutherian gambit series built for the YA set is just as good as it is for the adults and I love them! enjoy! I'll see if I can sort through everything in the next few days and post it. But for now, really Michael? It's one thing to be encouraging to someone. it's quite another letting them face Plant with the rocket assist of Your established name. If one were to have read the previous books in this series, one would be wondering where audible has the last 10 previous books for starters. Thanks for the notes at the end or I'd still be wondering. 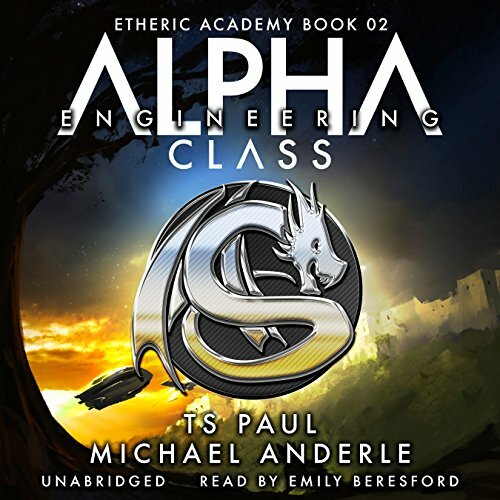 Yana, Tina, Ron, Maxim & Nestor of the Alpha Team have adventures with Jeo in Engineering for their second class at the Etheric Academy. Guardian Peter joins them to get more details of their moon adventures; and to protect Jeo & the team from themselves. You can enjoy these YA books for themselves, but they're SO MUCH better within the context of the full Kurtherian series. Anderle & his co-conspirators are awesome! Beresford also narrates the primary Kurtherian series with Bethany Anne & is really the voice of the series. Just another great book in this universe again superbly presented by Emily. looking forward to the next.